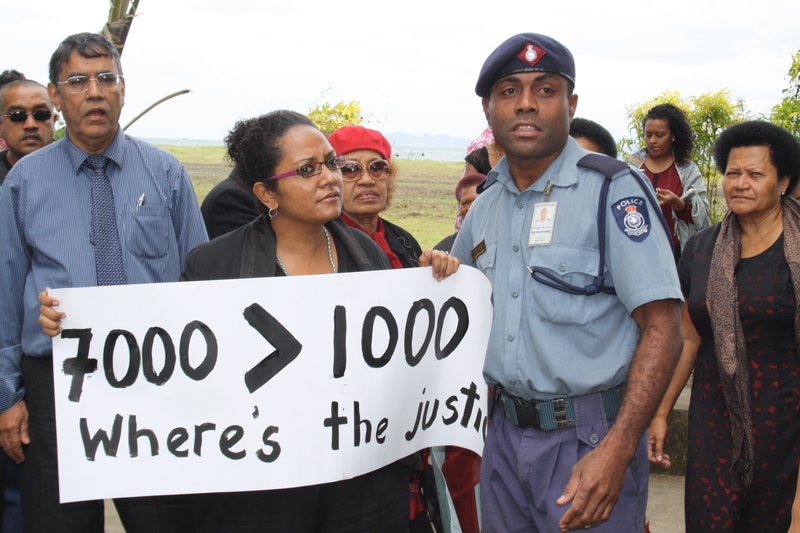 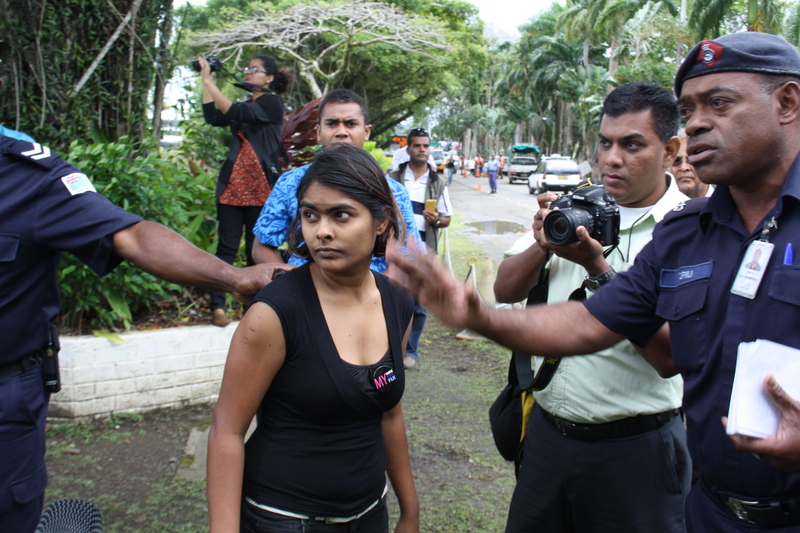 As a sign of protest against the Presidential accent to the Fiji Government Constitution, Human Rights Defenders, Pro-Democracy activists and members of the United Front for a Democratic Fiji gathered in front of Government House to deliver a petition to the President Ratu Epeli Nailatikau. 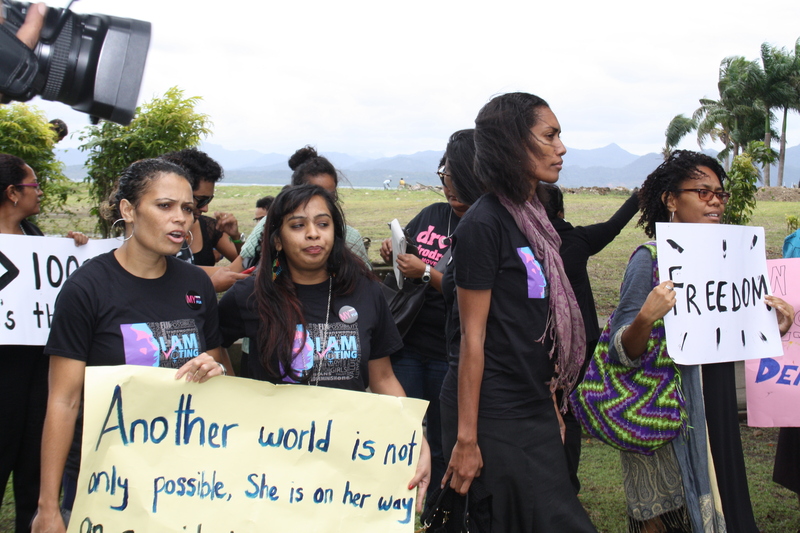 However, there was heavy police presence as the protestors gathered peacefully at the seawall end along Queen Elizabeth Drive. 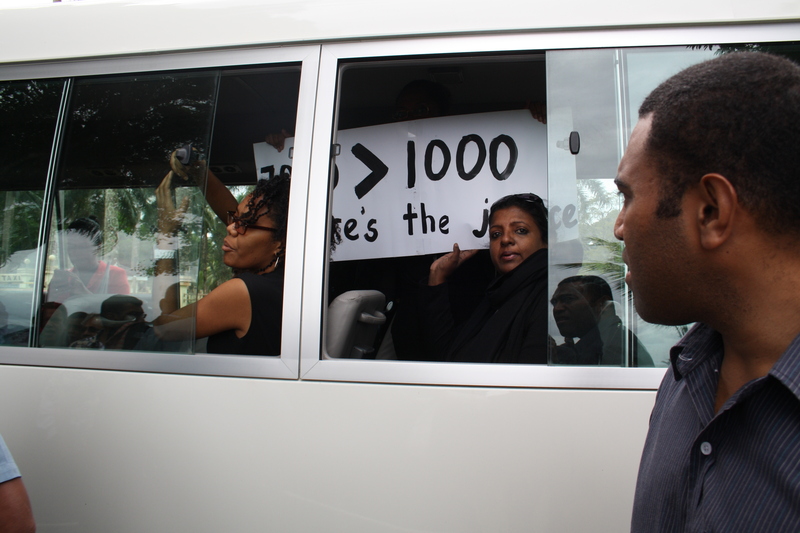 Police officers then rounded up 14 protestors who were holding placards and told them to board a waiting bus before they were escorted to the CID Headquarters in Toorak. 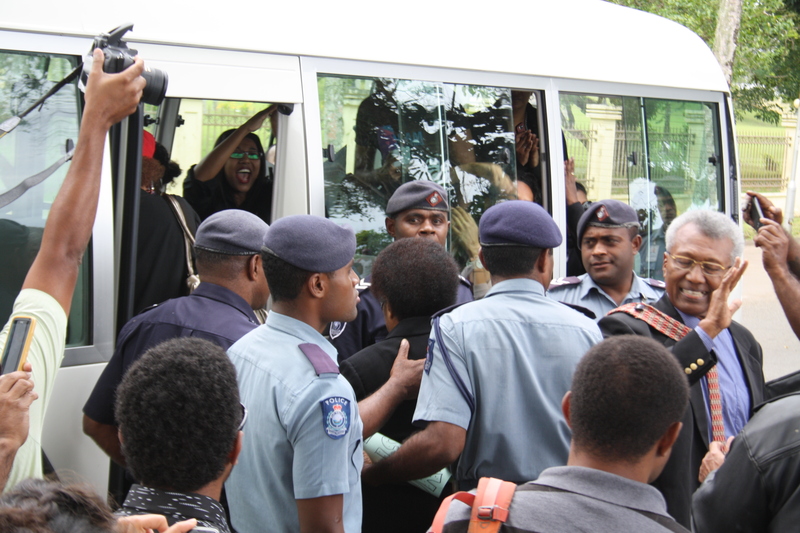 The 14 were cautioned and released without charge. 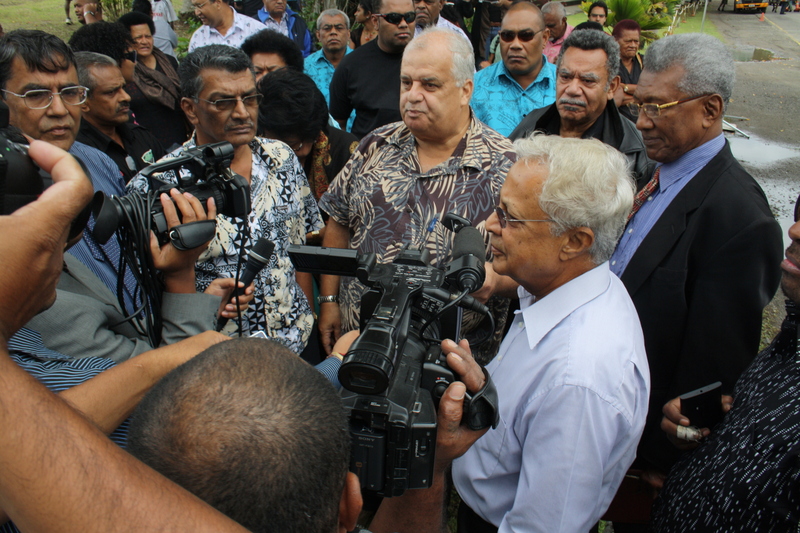 Leaders of the Political Parties representing the UFDF were then permitted to deliver their petition to the Presidents Official Secretary through the back gate of Government House. 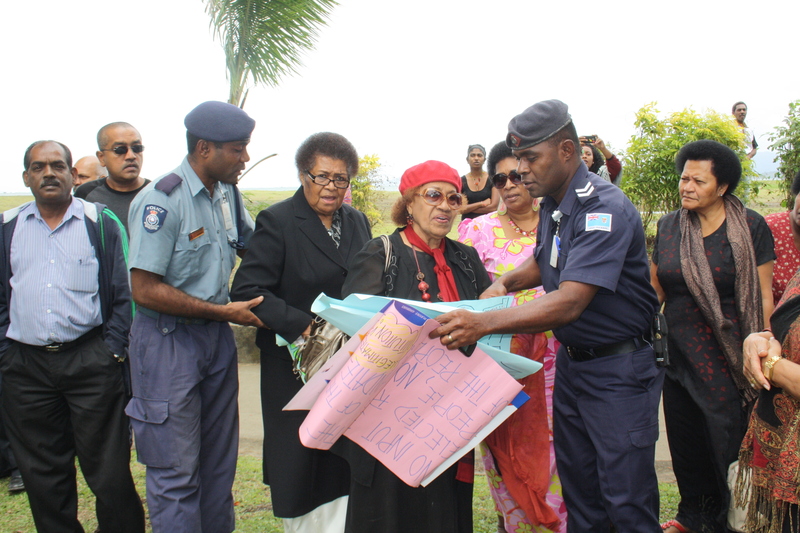 The Petition was put together following a meeting of the UFDF in Suva last night.